WiFi hotspots. It's FREE here. 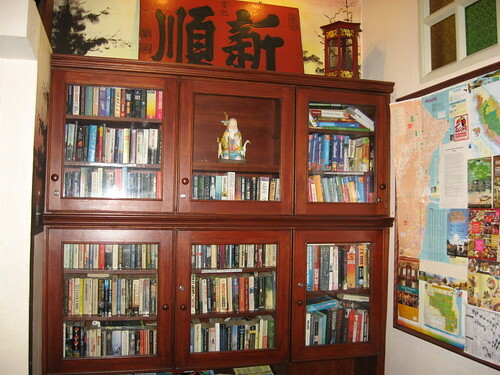 Hotel Mingood is excellently located on the fringe of the city centre. A good choice for Thai Visa Applicants. 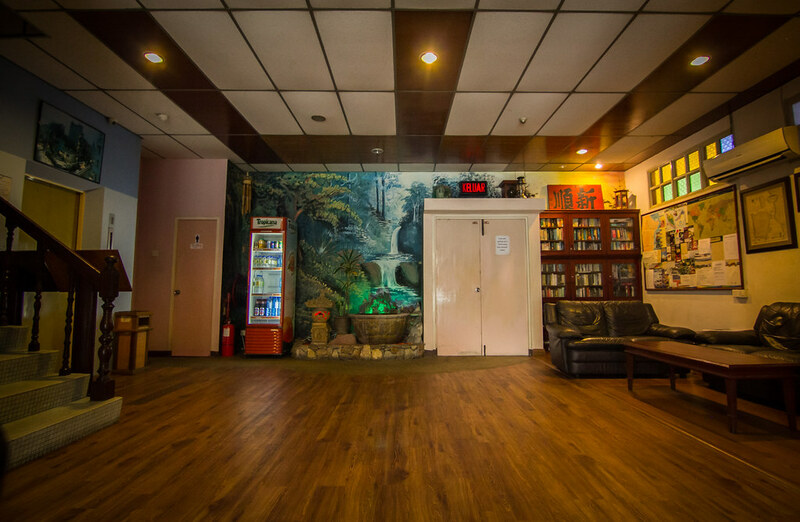 We are within 2 minutes walking distance of the city centre and you don't need to travel far to visit 'Chinatown', 'Little India', 'The Heritage Trail' or 'UPR Entertainment Centre'. A short walk down Penang Road takes you to 'Komtar', the city's premier landmark and shopping mall. Fine dinning and local hawker food are all available on your doorstep. Located close to the chic part of town with excellent nightlife, surrounded by cafes, good multi-ethnic restaurants, shops and the coolest bars & pubs. In fact, the famous New World Park Food Court and Entertainment Center is just 520 steps (a mere 5 minute walk) from the hotel. From its spacious lobby and rooms, Mingood offers friendly and courteous service where our goal is to create a cosy atmosphere for an enjoyable and memorable stay. 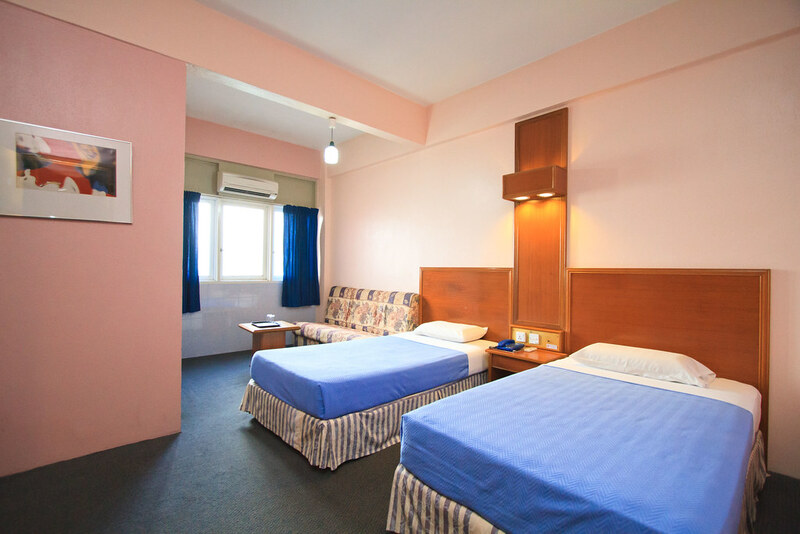 We are a 50 room hotel with spacious, air-conditioned rooms with attached bathrooms. All our rooms are equipped with TV, Fridge and IDD telephone. You will be well connected here, good wireless communications in all our rooms and common areas, making sure you're constantly in touch with the world. We have rooms with 1 to 4 beds .Whatever your choice might be, you are assured of a good standard of comfort that will satisfy your every need. 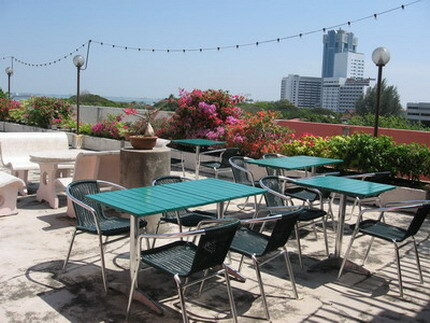 Enjoy a cool environment on the roof, 5th Floor for your daily Complimentary Breakfast. After a hectic day out, relax yourself or chill out at our Roof Top Leisure Garden, write some postcards or read a book and have a good view of the sea. You can even enjoy some games of pools or cards over a few drinks among friends and fellow hotel guests. 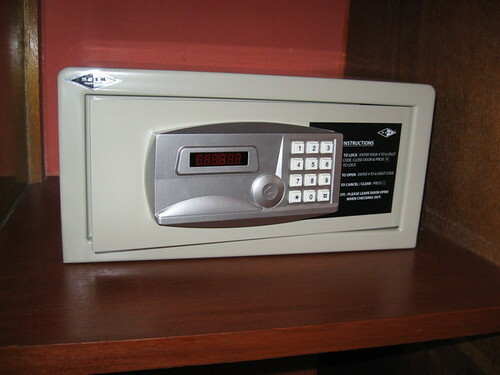 There is a room safe large enough for your laptop and personal effects in all the rooms. 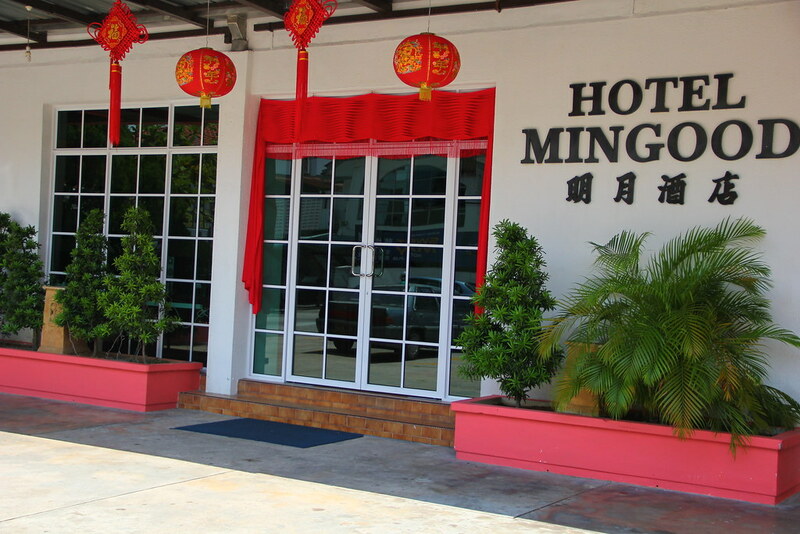 Hotel Mingood is a legal accommodation provider, approved by Tourism Malaysia and local authorities . 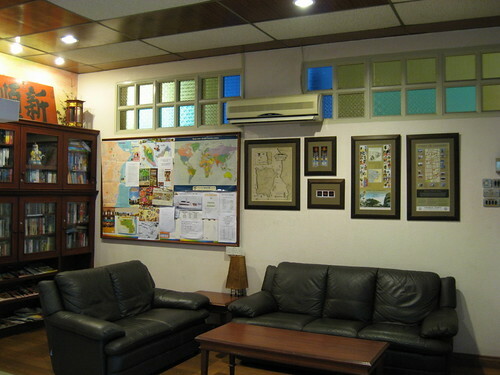 A member of Malaysia Budget Hotel Association and an appointed ISIC accommodation provider. Family Room that gives you and family plenty of space for your luggages and belongings, allowing you a comfortable long stay.